At a certain point in their lives, your parents may need elderly care or homecare assistance near Memphis . It may be difficult for your parents to accept that they need in-home care, so you should plan to have an in-depth conversation about the matter. When having such a conversation, be sure to stress to you parents that they will not need to move out of their home, but instead will simply have regular visits from a home health aide or in-home caregiver. If your parents are particularly resistant to the idea of in-home elder care, you can consult with a therapist or counselor who has experience in caring for elders. This professional can act as a mediator between you and your parents to make the conversation easier and more constructive. Be sure to listen carefully to your parents’ feelings and concerns and address each one specifically so that they know they’re being heard. 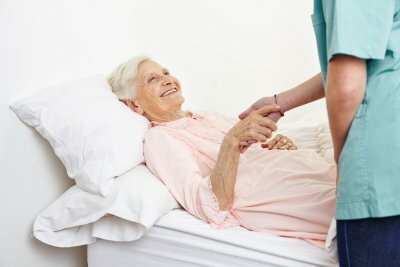 When the time comes to contact a home health care company regarding in-home care, you should make sure that your parents are involved in the process. They should meet any potential caregiver before any elder care services are contracted. It’s perfectly normal for a senior to need some extra care as he or she advances in age, particularly given that growing older can increase the risk of numerous health problems. However, knowing exactly when to make the transition to in-home care can be difficult. Even if you don’t think your loved one needs some extra care right now, it’s a good idea to research your options for elder care in Memphis. Once you know which assisted living options are available in your area, you can begin to plan how to meet your loved one’s changing needs. Cognitive impairment becomes more likely as your loved one ages. At some point, your loved one’s cognitive difficulties can inhibit his or her ability to perform self-care tasks. It’s advisable to introduce your loved one to a caregiver before these issues become too severe. Some indicators that it’s time to discuss elder care with your loved one include forgetting to take medications, forgetting to eat meals, displaying signs of confusion, and missing doctor’s appointments. Sometimes, the need for elder care becomes obvious rather abruptly, such as when a loved one suffers a stroke or a fall. In other cases, a loved one may gradually experience increasing physical limitations. 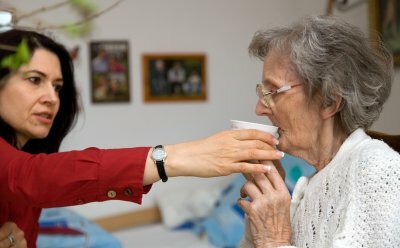 Unusual changes in sleeping or eating patterns, difficulty walking, problems keeping up with the housework, and frequently developing bumps, bruises, or more severe injuries are some of the signs that your loved one may need extra care. Seniors are at a high risk of suffering from depression and other mental disorders. Unfortunately, the signs of depression among the elderly can easily be mistaken for indicators of Alzheimer’s or other forms of dementia. Often, depression is attributable to social isolation. Consider whether your loved one still participates in his or her favorite activities, goes out to the senior’s center or other gathering places, and meets with friends regularly. If not, he or she could be experiencing mental health issues. Hiring a caregiver for your loved one will provide him or her with crucial social contact, cognitive stimulation, and of course, day-to-day care. As your loved one ages, he may need more and more help completing everyday tasks. Luckily, an in-home caregiver near Memphis can provide elder care services, assisted living services, and home health care for your loved one. In-home care ensures that your loved one remains safe, happy, and healthy without requiring him to move out of his own home. Watch this video for some great tips for simplifying your elderly loved one’s life. You’ll get advice on removing hazards from the home, staying involved in your loved one’s health care, and contacting a home health agency about their senior assisted living services.